Asia Society’s annual Asian Corporate Survey is a national benchmarking study aimed to fill a critical knowledge gap relating to the growth, development, and advancement of Asian Pacific American (APA) employees. The survey encompasses a range of Fortune 1000 industry sectors. Its results help to identify which companies are perceived as best at successfully attracting, developing, and retaining APA talent, as well as highlight best corporate practices. 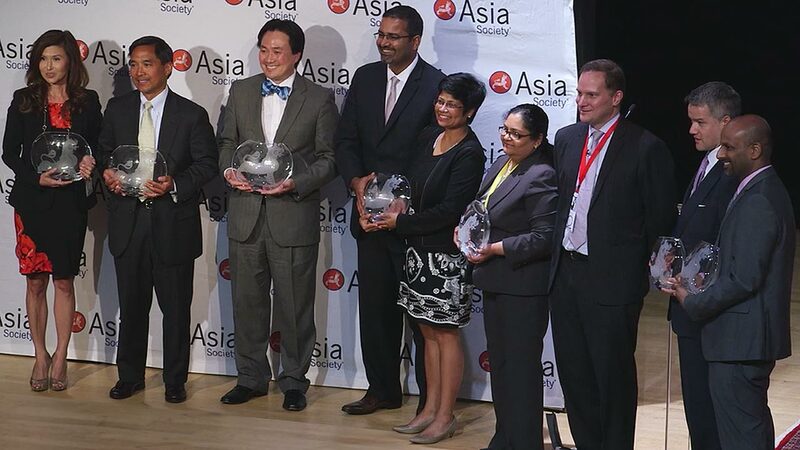 Companies that are high performing in various categories are then nominated to receive recognition for Asia Society's annual Best Companies for Asian Pacific Americans Awards, which are among the most highly coveted workplace awards in the United States. New Award: "Best Company Marketing to Asian Pacific American Consumers and Investors." Perceptions and opinions from the APA employees themselves. Questions written specifically for the APA audience, going beyond general diversity questions. Best Practices section provides examples of real life programs that are working in corporations today. Developed in close consultation with Asia Society’s Global Talent & Diversity Council comprised of two dozen Chief Diversity Officers and other corporate diversity leaders from Fortune 500 companies who are Corporate Members of Asia Society. Survey is administered by an independent third-party research company to ensure impartiality and statistical significance of data and scoring. NO COST to participate: Complimentary participation for companies. Confidentiality of company data: Company-specific responses to the survey are kept strictly confidential by the research company. Company-specific data is shared only with the participating company itself. Asia Society only sees aggregate data. Company-specific report: All participating companies will receive a top-line confidential report on their own company based on the results, benchmarked against other comparable companies at NO cost, as a courtesy for participating. This report comes directly from the research company, in order to maintain confidentiality. Full Report: The in-depth report will include analysis of the overall results at the item and dimension level as well as analyses of strengths and areas for improvement seen across participating companies. Best Company Awards: Finalists and winners are chosen based on a combination of the employee survey results (80%) and scores from a panel of expert judges (20%). Employees of Asia Society are not involved in the ranking/awards decisions. The winners will be recognized during Asia Society’s annual Diversity and Marketing Leadership Summit at Asia Society in New York City, May 15, 2019.